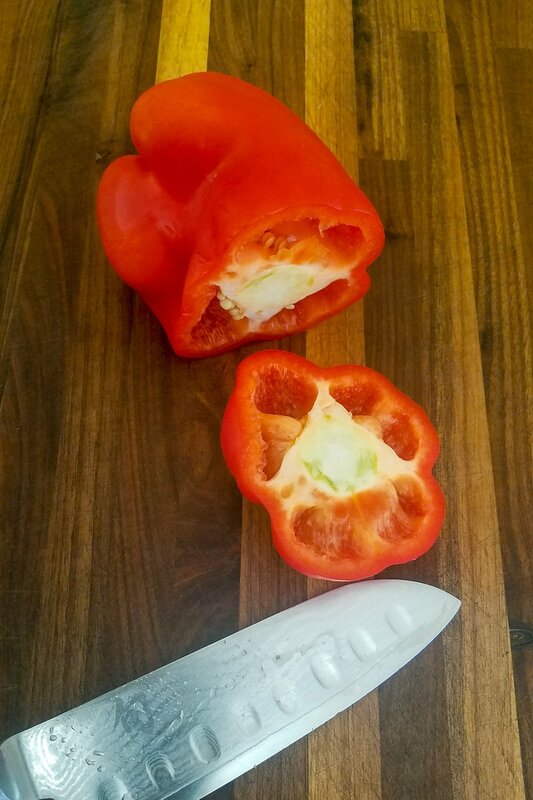 Cutting a pepper can be done anyway but I’ve found this way reduces waste. It also allows for even strips if you want to use them with a dip or just to make a dinner pretty. I wrote up the steps but below are pictures of each step to help. 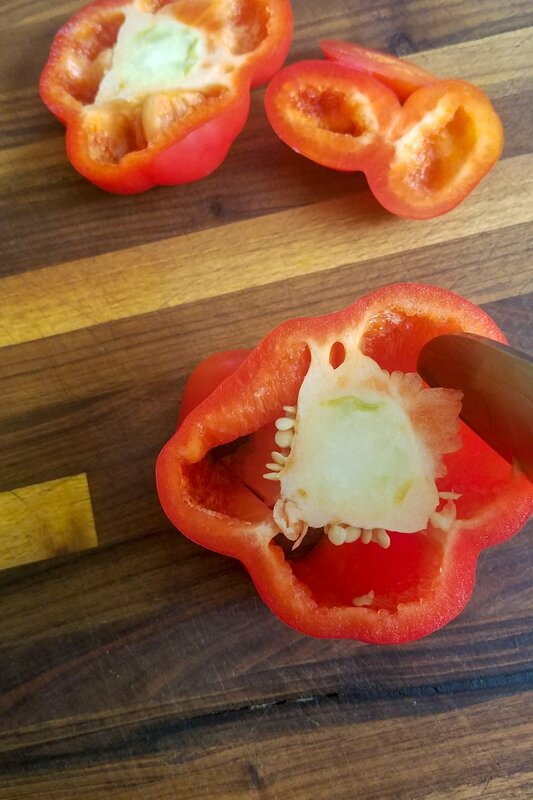 Slice down into the pepper to disconnect the seeds from the pepper without cutting through the exterior of the pepper. Repeat with the other two attachments. 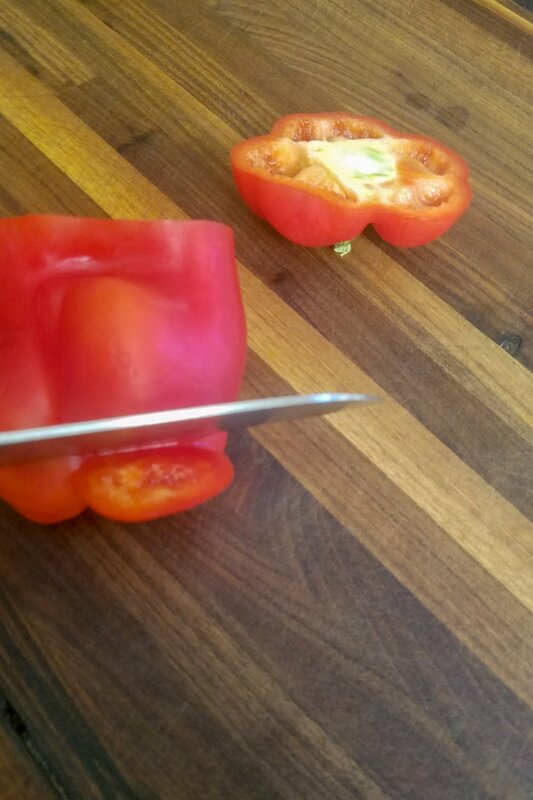 You’ll be able to remove the stem from the top or cut the pieces off. Now you can dice the top and bottom pieces. The core is similar length so slicing will allow even pieces.